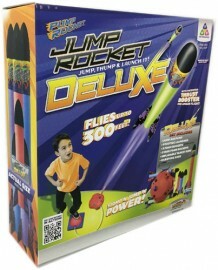 Geospace Deluxe Jump Rocket Launcher with Rocket Set - spacekids - space toys, dressing up costumes, kids spacesuits, astronaut food, cool space stuff! 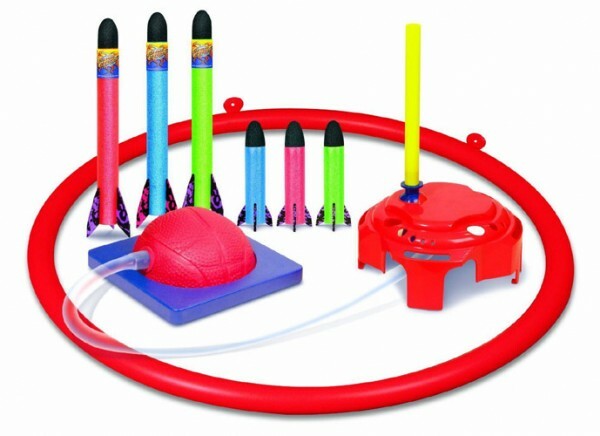 Jump Rocket from the Geospace range. Simply slide the safe foam jump rocket onto its launching pad, jump up and land on the air pump and watch it blast off…to a height of up to 300 feet! How far is 300 feet? How about the height of a 30-story building! Kids even get a little exercise too! 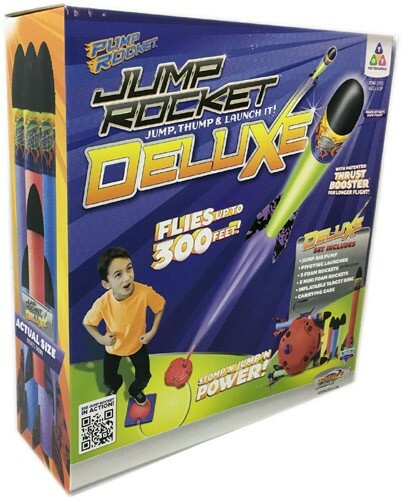 Jump or stomp on the launcher to shoot compressed air into the launch pad and send the foam rockets soaring up into the sky. 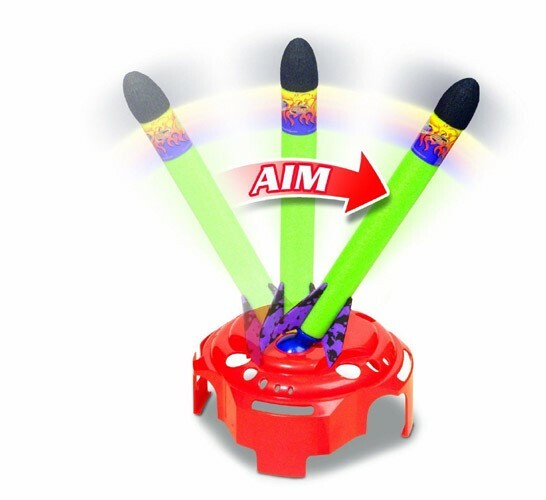 Try to catch them as they float back down, or use the inflatable ring target to adjust the position of the pivoting launch base to see who can land them inside. 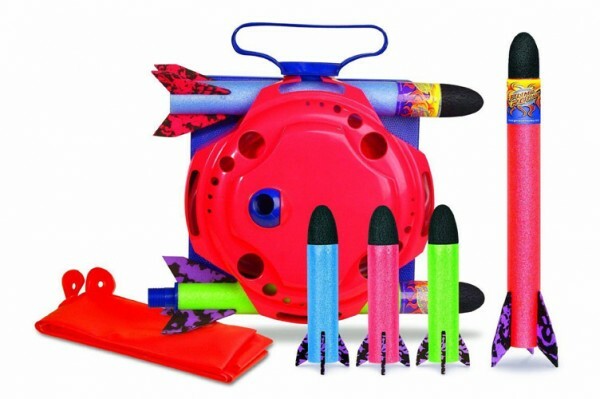 This set includes six rockets in two different sizes, so there are plenty of rockets for several people to play at a time. These rockets feature soft, durable foam bodies with extra soft foam tips that won't harm furniture, wall, or other objects. Kids can play with them outside or inside without worry! Available in assorted colours and each with patented Thrust Booster that adds more flight time.